Top of the hill! Enjoy views and peaceful surroundings of this property. 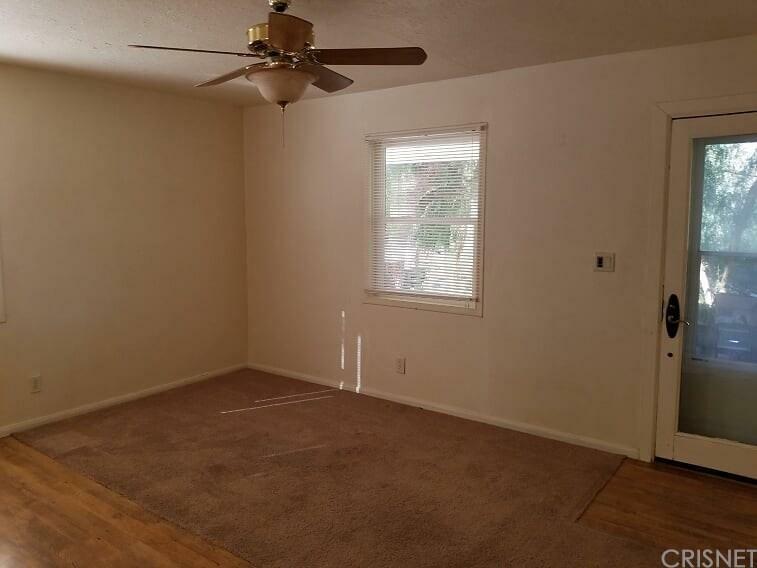 Charming home offers nice living room, cozy kitchen, enclosed screened patio/wash area, three good size bedrooms. Mastersuite has nice bathroom and walk in closet. 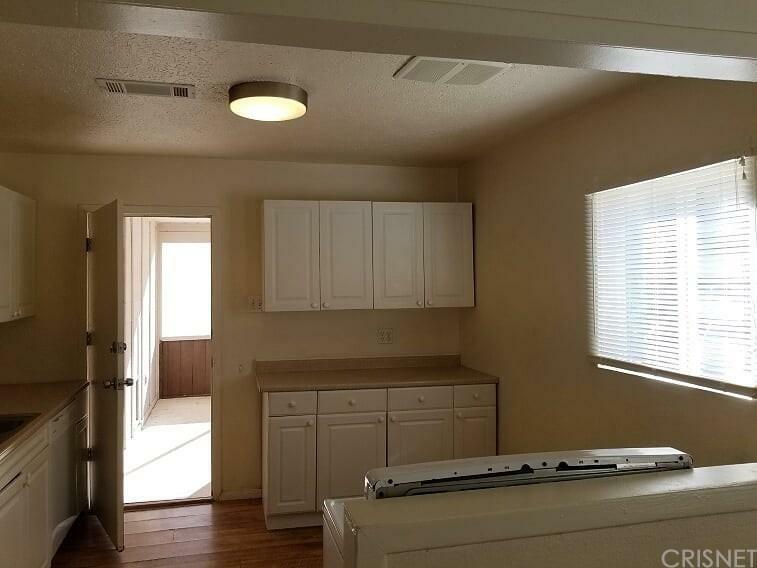 Secondary bathroom offers remodeled with tiled flooring, cabinet and more. The main entrance has wonderful and relaxing veranda similar to Southern homes. There's cement driveway on the front of property with two areas cemented for parking. Behind the house is a rear gravel driveway and parking in back. Because of both parcels this residence has just over a half acre of land! A small old shed with water/power great for storage, and so much space to great ideas! Some upgrades include septic, all windows, dishwasher, range. Price includes three (3) lots 16, 17 & 18 all equal just over 1/2 acre! Bring your ideas and Do It Yourself concepts to make this unique lot/yard yours! So many ideas abound. 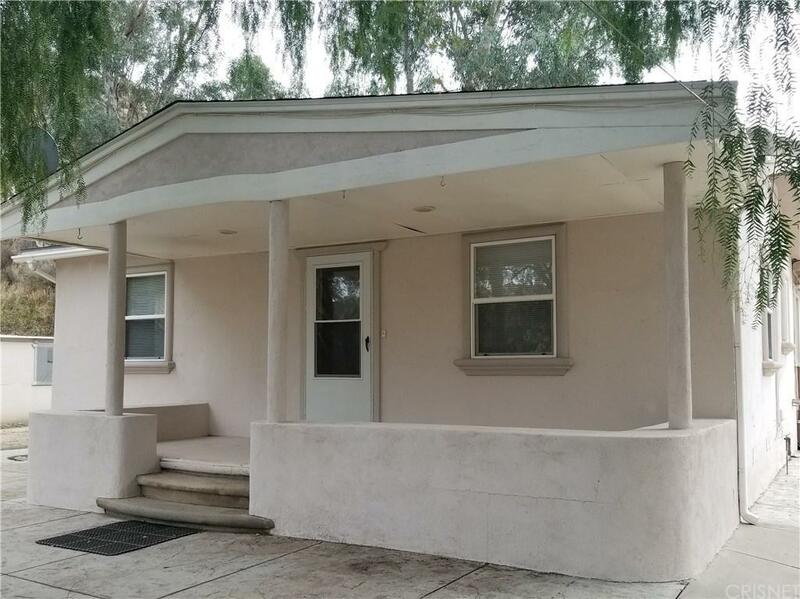 Sold by Mari Wood BRE#01020758 of Re/Max Of Santa Clarita. 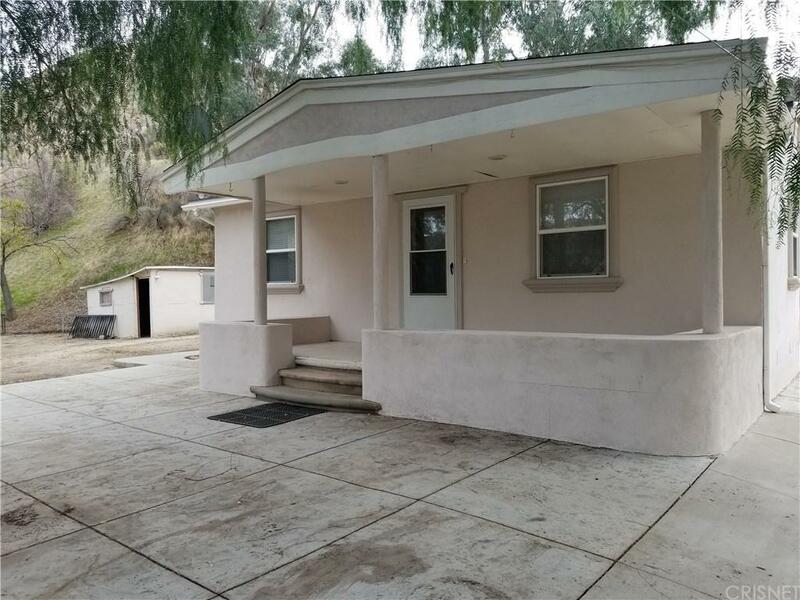 Listing provided courtesy of Errol Valladares DRE#01020758 of Re/Max Of Santa Clarita.